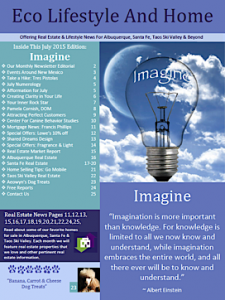 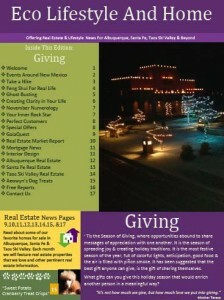 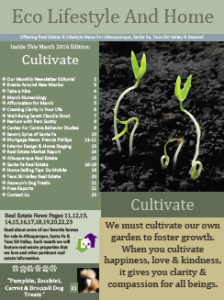 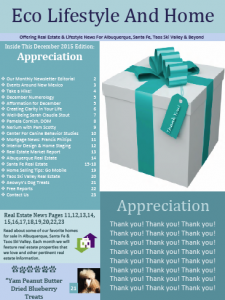 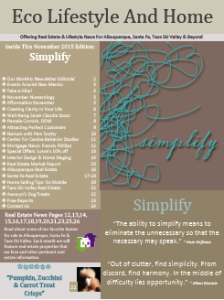 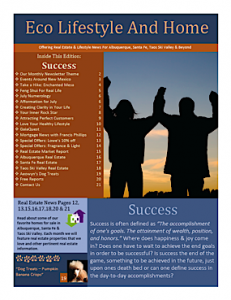 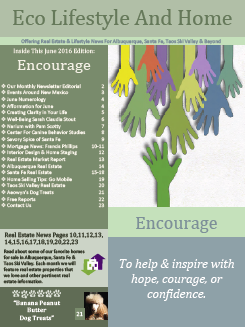 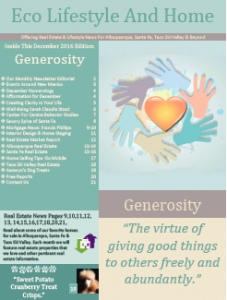 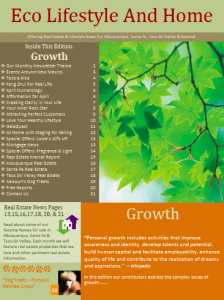 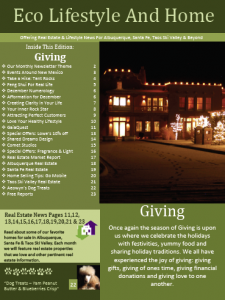 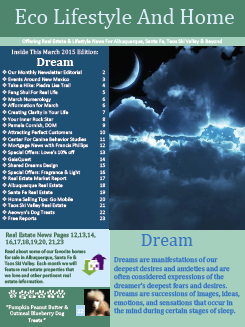 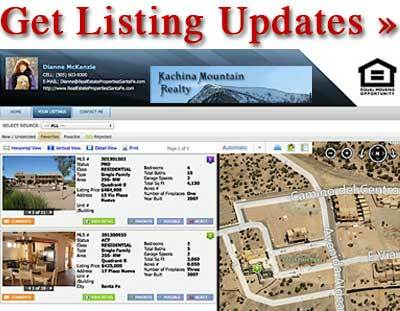 The creators of this newsletter are Dianne McKenzie, qualifying broker for Kachina Mountain Realty & Cecilie Bodman, real estate associate broker for Equity New Mexico, and Aeowyn, standard poodle & service dog. 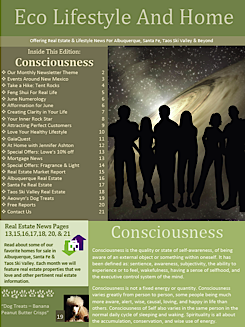 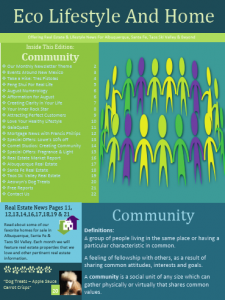 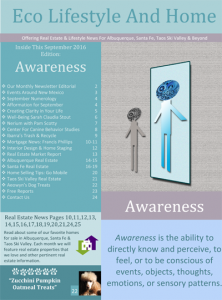 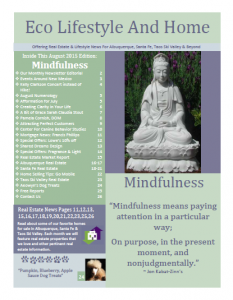 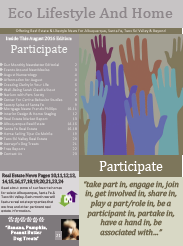 We decided to produce a conscious newsletter that has information about some real estate but more about living, playing & working. 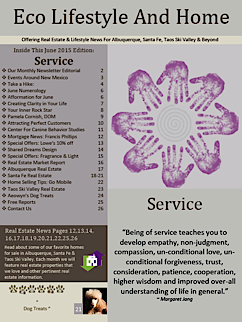 We also wanted to include our professional friends’ expertise as it relates to home, health, well-being, & lifestyle. 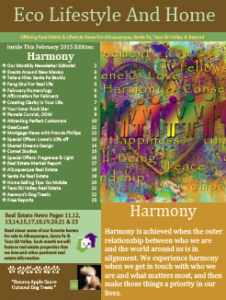 The main idea is that we want to communicate quality of being and connect our spheres of influence with other like minds, to a variety of conscious activities & resources in our communities. 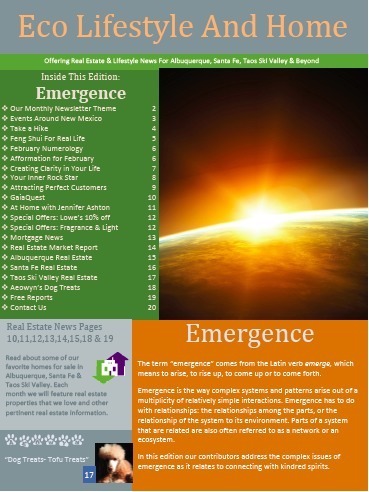 In our Eco Lifestyle And Home News we will regularly feature columns from leading professionals with articles on interior design, creating clarity, cultivating eco communities, and finding your balance. 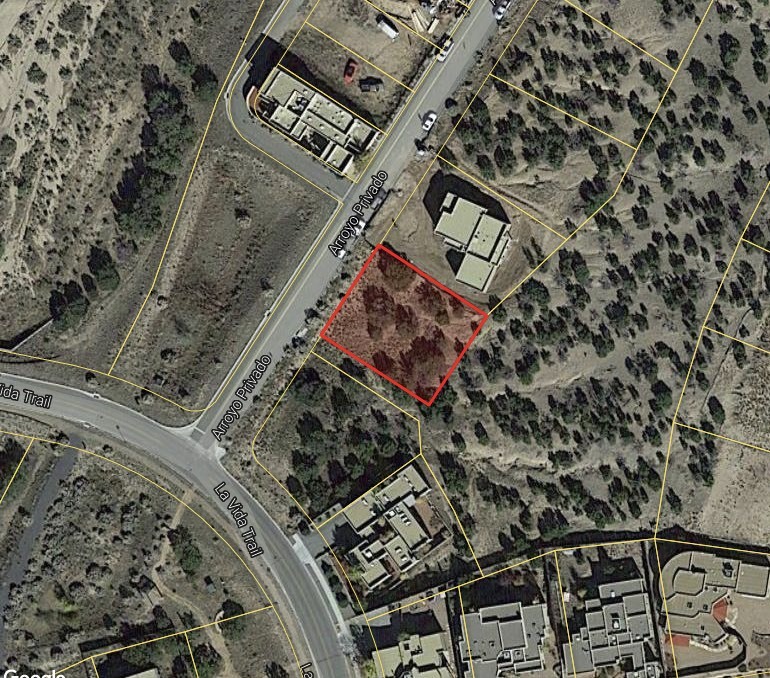 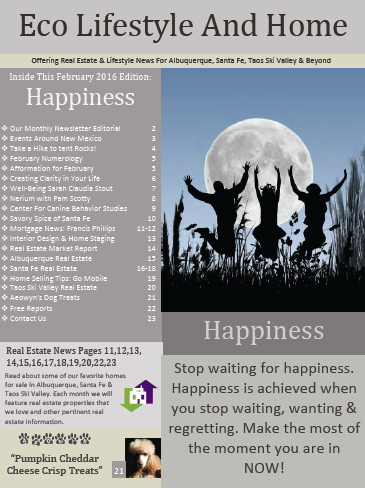 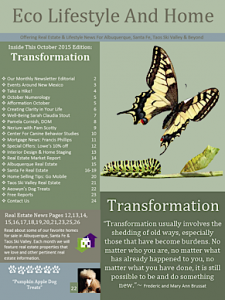 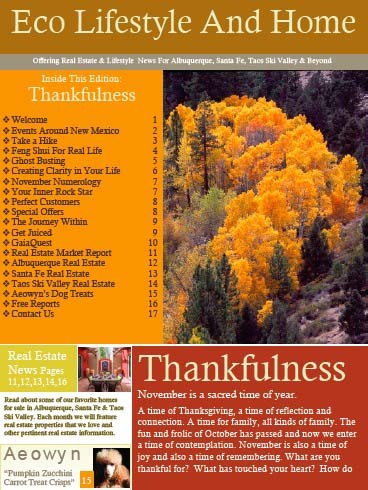 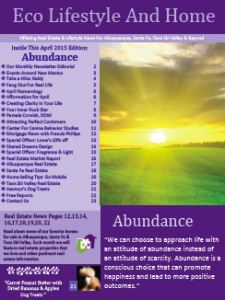 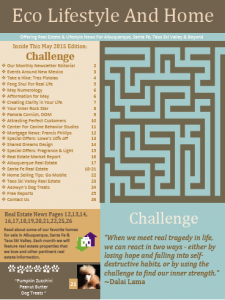 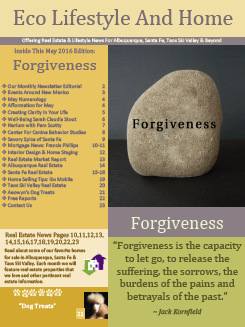 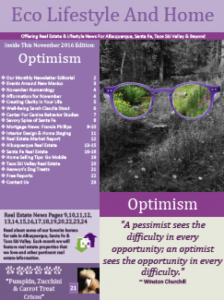 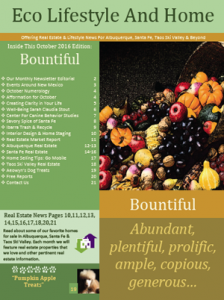 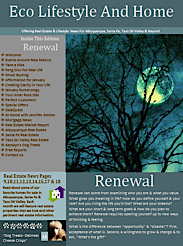 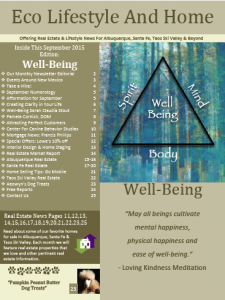 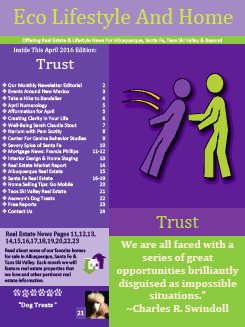 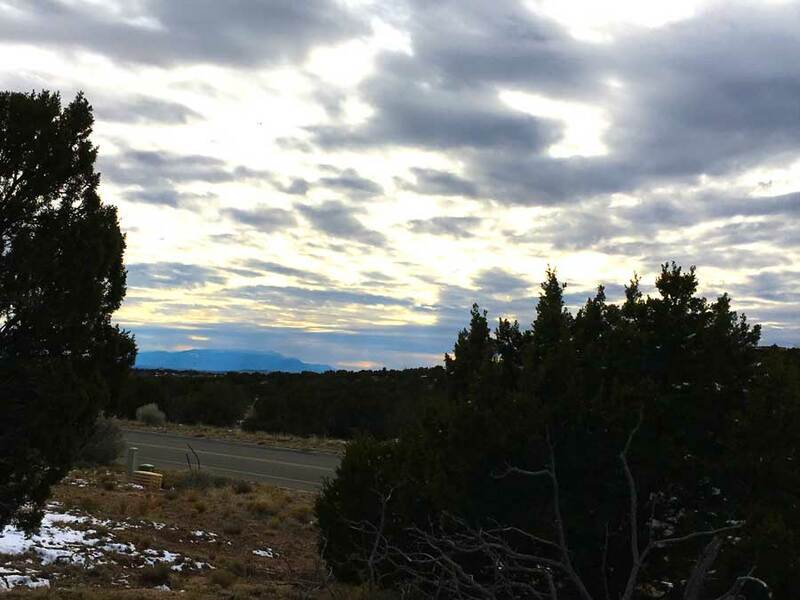 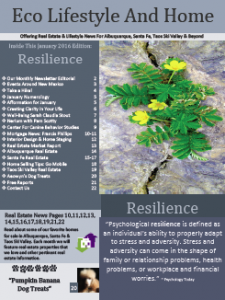 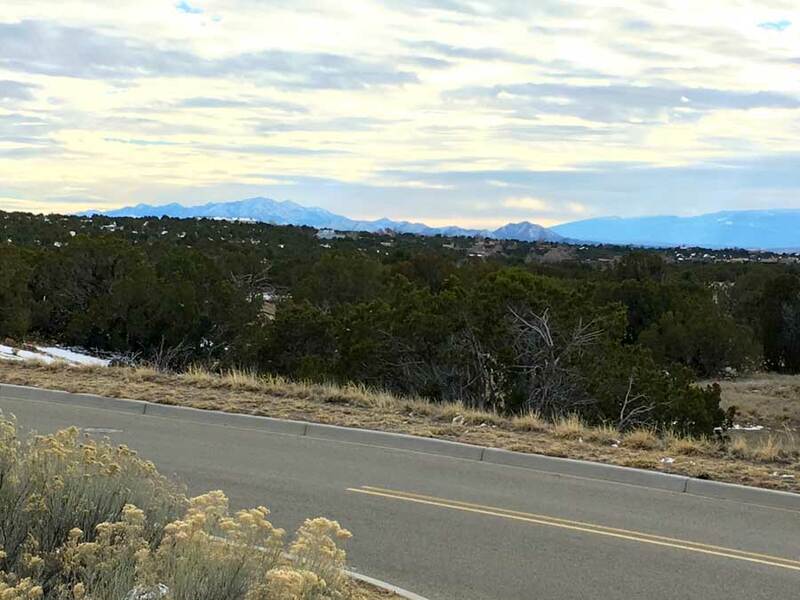 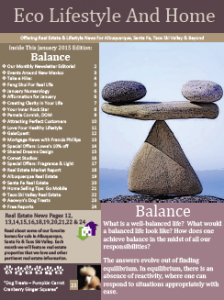 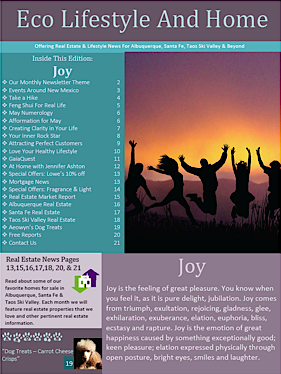 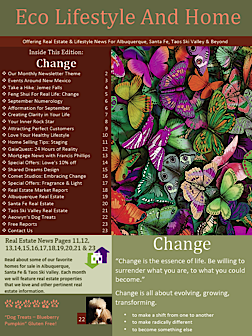 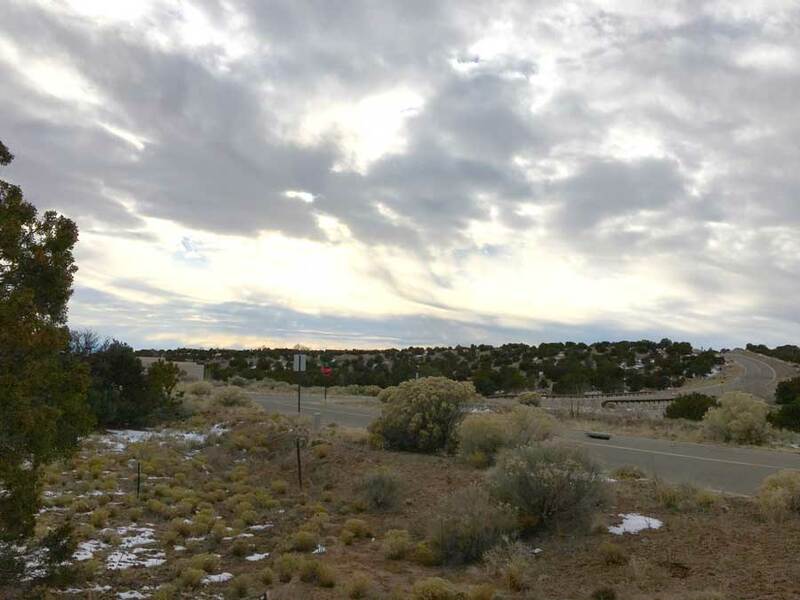 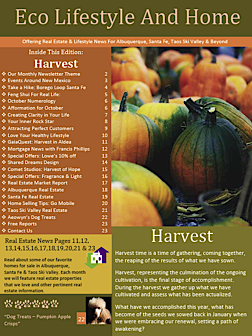 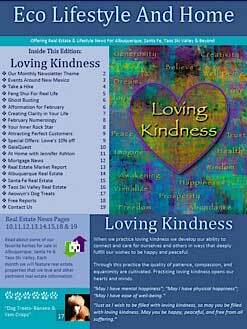 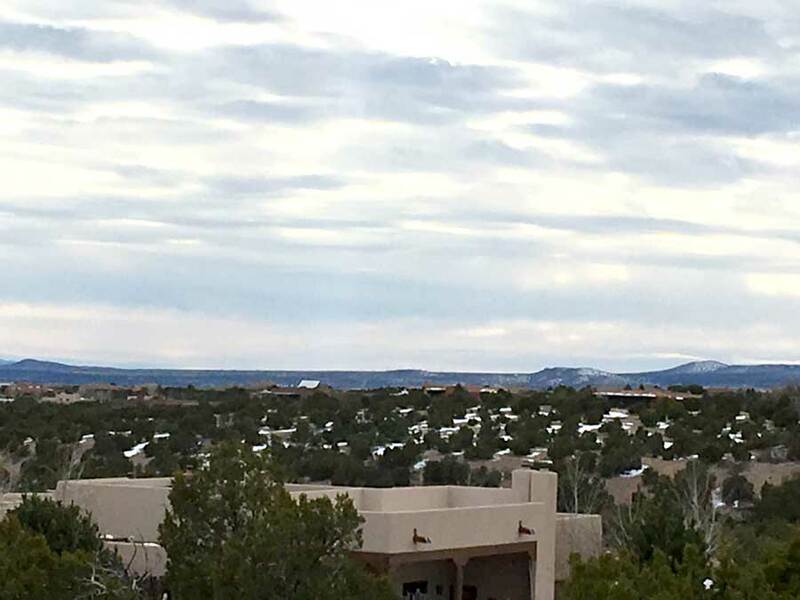 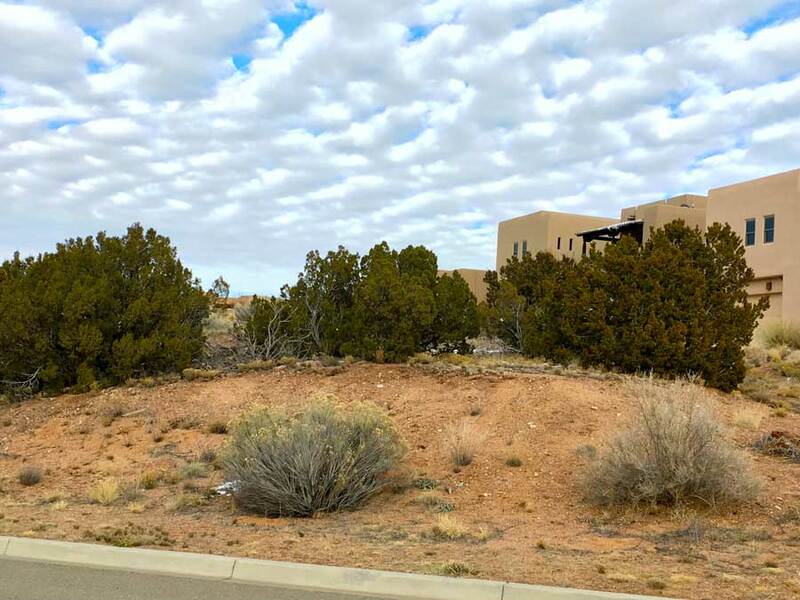 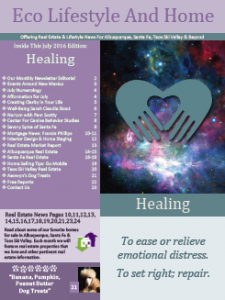 Also included as a regular feature are events around New Mexico, a monthly hike experience to get you outdoors, numerology of the month, general real estate news, and favorite real estate listings in Albuquerque, Santa Fe & Taos Ski Valley. 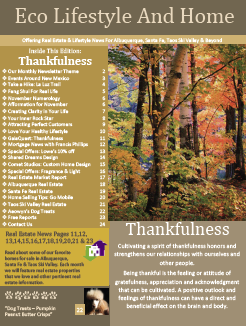 And as a regular monthly feature, Aeowyn, standard poodle & service dog, shares her favorite dog treats. 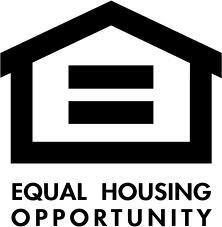 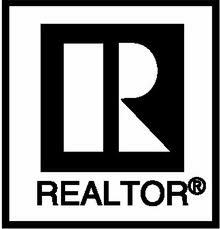 In the upcoming monthly newsletters we will be adding mortgage information & interior design tips & tricks not just for real estate staging but also to help make your house a home.